I look outside and see that the leaves on the trees are changing from Green to shades of Reds, Yellows and Oranges. I feel the slight chill in the air and I just know that today is a day for home-made blueberry muffins. 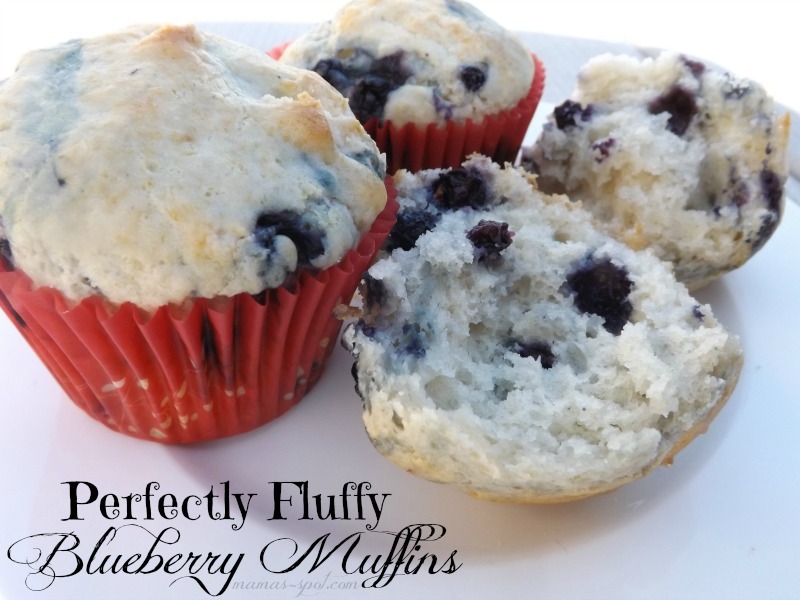 I don’t know what is better: The delicious smell of muffins cooking in the oven that fills the air, or the delicious taste of the hot fluffy muffins melting in your mouth with occasional bursts of blueberry goodness. The recipe I use is one I grew up with so along with the wonderful taste are many memories of having my mother make these very same muffins for us children. I am grateful for the ability to pass this tradition of homemade goodness on to my children. Hopefully they too will someday make these same muffins for their children on Cool Autumn days. Just like cakes and breads these muffins are great to freeze and reheat later! These blueberry muffins are made with classic Kitchen Ingredients that every household should have in the pantry. Then in a Large bowl mix together the sugar, baking powder, and salt in a small dish. This allows for the fine dry ingredients to become well mixed. Next comes the flour. Sift and mix the flour together with the sugar, baking powder, and salt. In a different bowl you want to combine the shortening or oil together with the eggs and milk. Mix these well with a fork then add the wet ingredients to dry ingredients blending with a fork just until moist. Now for the best part! You want to carefully fold in rinsed and drained berries. You will probably burst a few berries, no worries, the juices make a nice color swirl. Fill greased or paper lined muffin tins 2/3 full. Bake at 400 F for 20-25 minutes until lightly golden. This Recipe usually makes about 24 muffins. I however like to fill mine a little more so I usually end up with 12-18 Muffins. If you like this post make sure to hit the Pin-it button on the top of this post and share it with friends too!